A company’s journey towards the optimal IT solution takes them past various software vendors. The Supply Chain Media subway map presents a clear overview of the complex (under) world of IT. 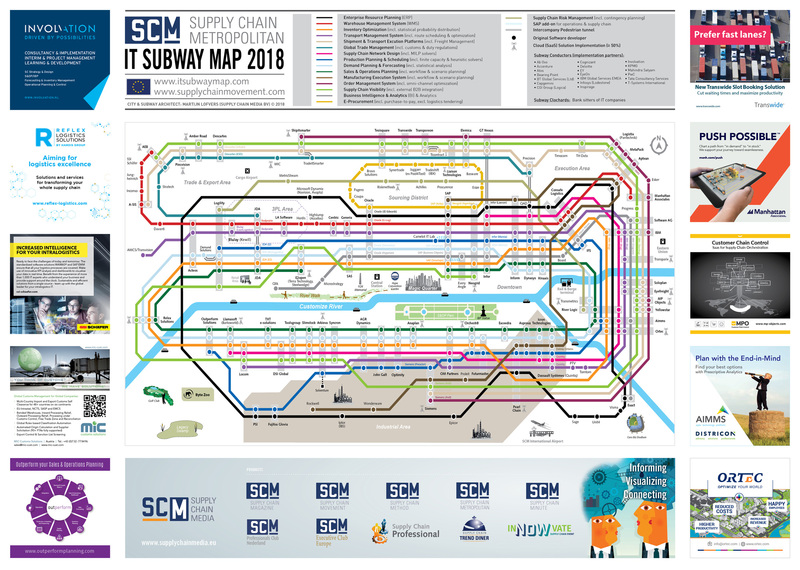 Apart from the editorial exposure, we offer possibilities for your company to be even more visible at the poster format of the SCM IT Subway Map.